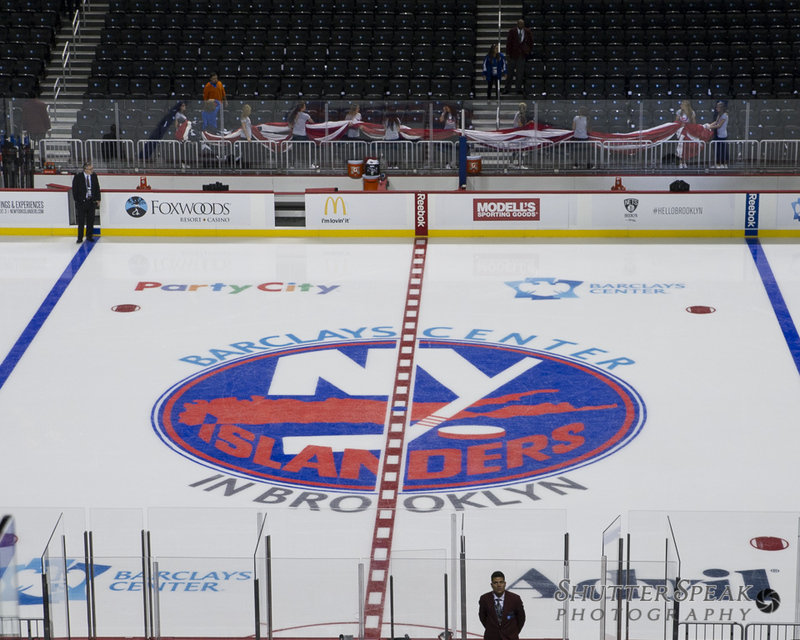 The New York Islanders logo on the ice at the Barclays Center in Brooklyn. 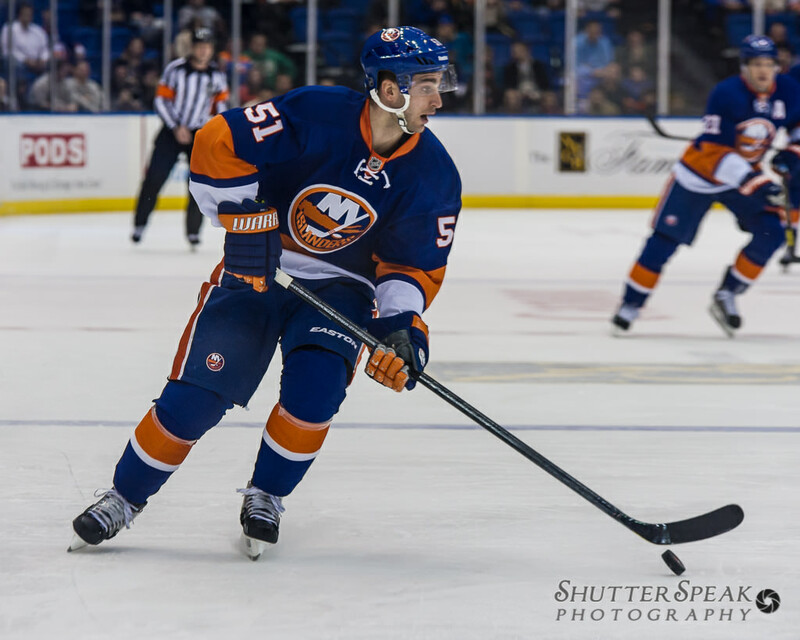 The New York Islanders and the New Jersey Devils played the first NHL hockey game in the brand new, state of the art, Barclays Center in Brooklyn, NY. I was lucky to be on hand shooting for the press at this historical event. 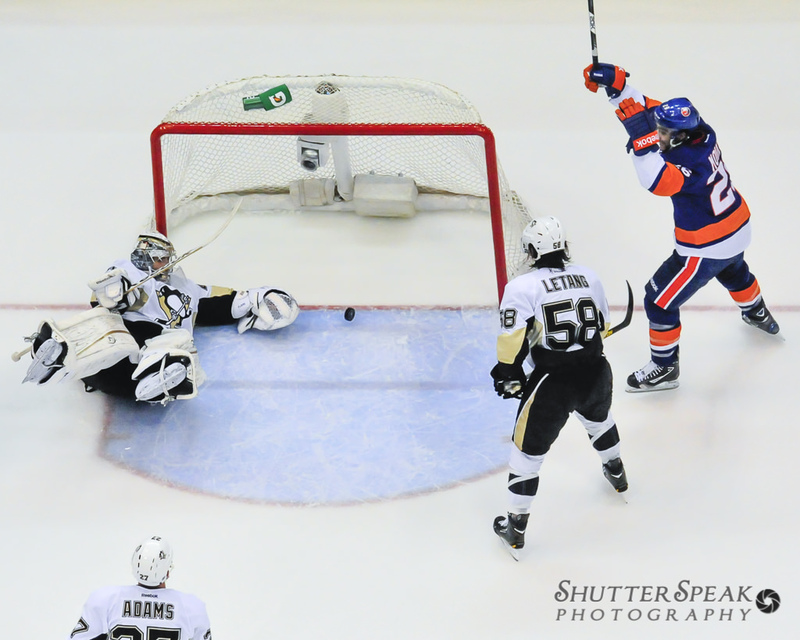 Unfortunately, my home team Islanders fell 3-0 to the visiting Devils. It was a pre-season game but it certainly didn’t feel like it. I was impressed with this world class arena and the crowd seemed to be as well. For quite a while now I have used Cactus V5 Wireless Flash Trigger to trigger off camera flashes. If you have done your research, you all ready know they have a great reputation and there price is very reasonable. You may also know that the Pocket Wizard is almost always the choice of pro photographers. As I have mentioned, I have used the Cactus v5’s to trigger remote flashes and they have always proved very reliable.